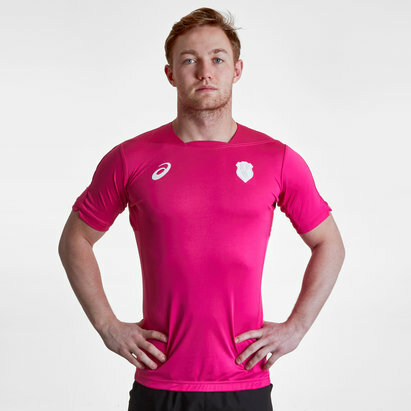 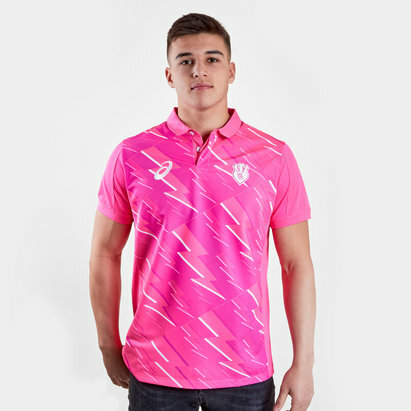 make sure you're in the pink with this Stade Francais 18/19 Alternate S/S Rugby Shirt from Asics. 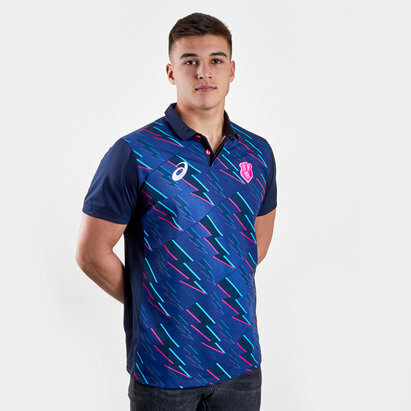 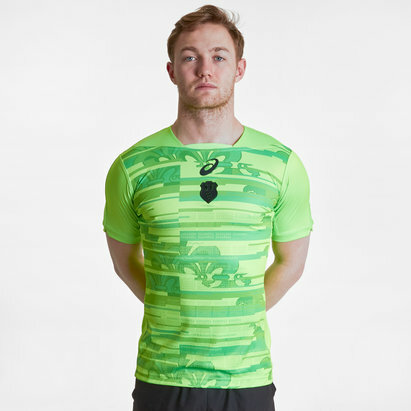 This home shirt is a bold, brash and eye-catching Stade Francais craziness. 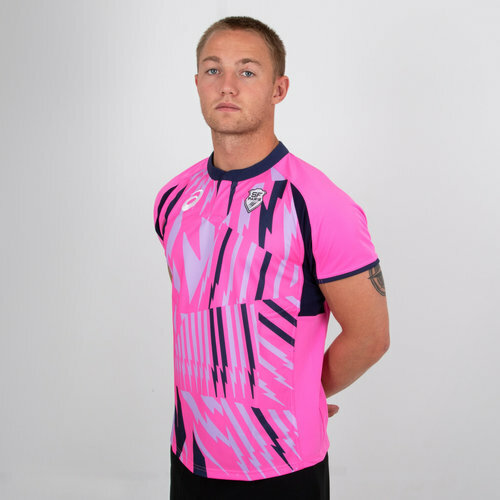 This jersey is pink with myriad contrasting lightning bolts covering the front. 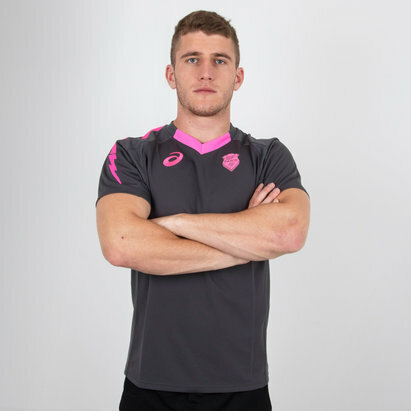 The Asics logo is on the right whilst the club badge, which is new, is on the left. 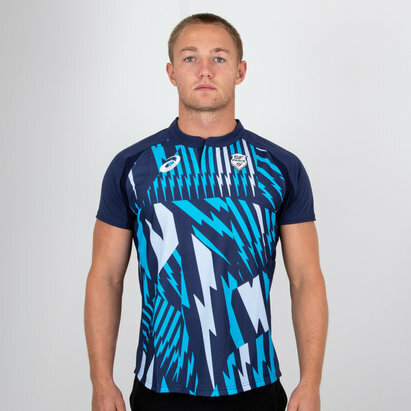 The club badge now has a more stylised shield, with 3 lightning bolts inside it which are also more stylised. 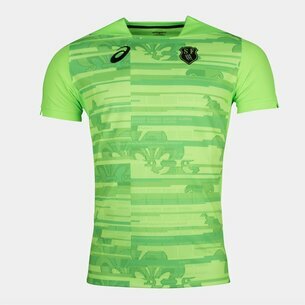 The word 'Paris' has now been brought into the shield. 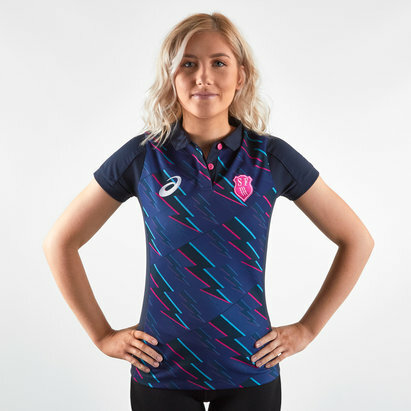 This shirt comes with a button up collar in navy.